human Menopausal Gonadotropin is a relatively new item to be considered by many in athletic and bodybuilding circuits. The item is a combined peptide hormone formula containing both Luteinizing Hormone (LH), and Follicle-Stimulating Hormone (FSH), in roughly equal proportion to each other. These two peptides, known as Menotropins, exert a number of effects on the body, notably on the reproductive glands. It was originally brought about as a treatment for women with hormonal health or fertility issues. But, it has more recently started to be used for males experiencing the same issues, including those experiencing them due to anabolic steroid use. From a structural perspective, the two items in the hMG peptide are very similar. They both have the same main alpha unit structure. Where they differ is in their beta subunits, with the two having different lengths and amino acid sequences in their subunits. This allows the two chemicals to exert unique effects on the body by binding to different receptors and cells. Of note, it allows the LH therein to bind receptors in the reproductive glands in men to help encourage endogenous hormone production and sperm production. This effect has caused some people to start buying hMG 75 IU to include in some of their regimes. The uses of this item will be discussed in detail below, along with its potential perks and downsides, and how you can buy it for a low cost, without having to go through a lot of administrative and medical red tape and procedures. As mentioned above, Menotropins can bind to receptors in the reproductive glands like the testes to encourage hormone and sperm production. This means they can be especially useful for steroid users, as the use of these drugs can cause a decrease, or total shutdown, in endogenous manufacturing of these hormones and a low to null sperm count as a result. This can persist for a period of months after chemical supplementation has been ceased. So, one of the primary uses of hMG by those in athletic or aesthetic circles is in conjunction with compounds such as Selective Estrogen Receptor Modulators and HCG in periods directly after chemical supplementation to help accelerate the rate of recovery of endogenous hormone production and reproductive health, as well as help maintain the gains you made during the previous period. This is known as Post Cycle Therapy (PCT) and is quite common in the above circles. Here, many would include Menopur 75 IU as a way to further accelerate recovery of hormonal health. However, other uses of the peptide are possible, and are discussed below. But, as with any drug, this will require consideration of how much of the hMG 75 IU injection is to be used. This is why we’ll look at the dosages next to try to provide you with a guideline you can consult if you’re including this item in your regimen. 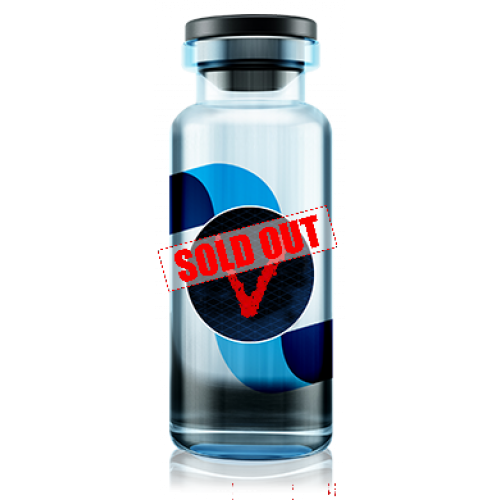 As also stated, the inclusion of these Menotropins, rather than just the more popular HCG, is still a relatively new practice by athletes due to the reduced notoriety of the product. The research on the use of hMG 75 IU is also less than its chemical cousin mentioned above. However, studies that have been done do provide some framework for dosing ranges that can be referred to when using this item. Firstly, during PCT phases, daily amounts of Menopur 75 IU, combined with 10,000 IUs of HCG taken twice weekly have been shown to provide benefits for reproductive and hormonal health. But, this is not the only form of use of Menopur. Much like HCG, it may also be used as a preventative means during periods of heavy drug use in order to try attenuate the severity of decreases in both endogenous hormone production and reproductive health, so as to reduce the need for PCT thereafter. However, for this purpose, dosing ranges change so as to avoid potentially serious adverse effects, which are discussed below. It should be worth noting the two peptides herein have very short half-lives, with a 20 minute half-life for LH, and a 3 to 4 hour half-life for FSH. So, storage should be carefully considered and the amount prepared should only be that which is needed, and taken when it’s needed. While no solid guide exists through a study, amounts of 37.5 IUs of the hMG peptide taken twice weekly for a period of 3 weeks, alongside around 500 IUs of HCG every 2 to 3 days. This more conservative approach should help avoid negative events associated with excessive use, discussed in the section below. As with any of these chemicals, there is a risk of incurring hMG side effects with its use. While the majority of these are unlikely to happen, they are still possible and merit consideration, particularly with prolonged or excessive use of the compound. However, a more severe issue like desensitization of the Leydig cells with excessive use of human Menopausal Gonadotropin is also possible. This is the side effect to watch out for, as it can lead to permanent impairment of the testes ability to produce hormones or sperm. So, a conservative approach should always be used when dosing, and small amounts should be used to start with before building up to the amounts listed above to try to avoid this issue as best possible. After looking at the upsides and downsides to this product, as well as it’s potential uses, we can take a look at how you can get your hands on it. Naturally, due to its medical origins and nature, you can’t eat this item in most countries without a prescription, and even at that it will be costly. This means that many individuals are often better off if they decide to buy hMG online. From online vendors like this site, you can simply get the item by making an electronic order and payment and specify where you’d like it sent to. Then, in only a few weeks, you can begin including it in your regimen for the desired results.